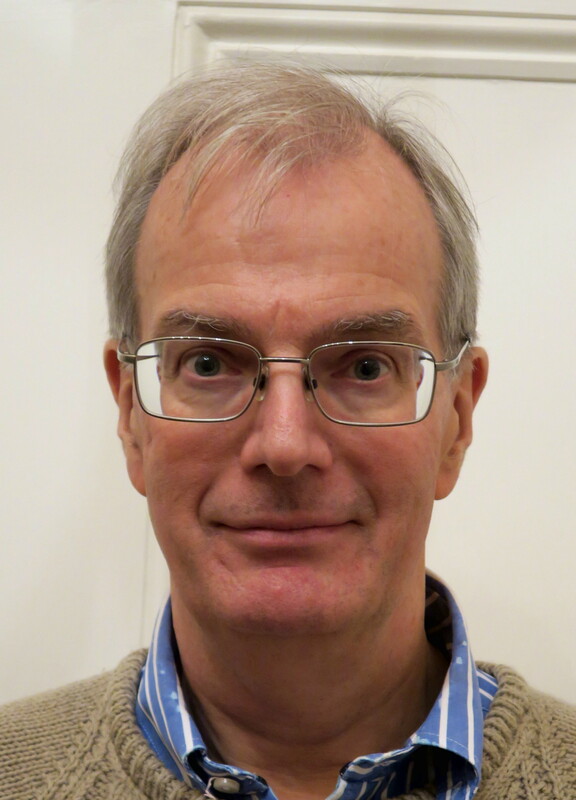 Craig Blomberg (Distinguished Professor of New Testament at Denver Seminary, Colorado, USA) is a prolific author and his books are generally worth reading. Neither Poverty nor Riches is no exception. It is, to quote from Don Carson’s preface, “an extraordinary achievement” (page 9) and, having been published in 1999, it is well on the way to passing the test of time. However, this does not mean that it is an easy read. It is not. Parts of it need to be read in short chunks with the relevant bible passages being considered alongside them and its real value may be as a work of reference to which readers can return as they grapple with the issues that it discusses. Blomberg says that he set out “to write a ‘biblical theology’ of material possessions” (page 28). His focus is on how Christians in the West should view their own possessions in the light of the existence of widespread poverty in the world. As Blomberg puts it, “this is a book by the rich for the rich” (page 11). He begins his task with a brief overview of the problem of global poverty before, also briefly, outlining the range of Christian responses that have been seen over the past half century. These include Catholic “liberation theology”, left of centre Evangelical thinking typified by the work of Ronald Sider (e.g. Rich Christians in an Age of Hunger) and conservative responses to these approaches. Someone reading only this introductory part of the book could be forgiven for believing that Blomberg is firmly aligning himself with Sider, since he has some harsh words for a number of Sider’s critics, but the rest of the book proves that this impression is misleading. It may be the result of Blomberg’s recognition that his readers are likely to be on the conservative end of the theological (and, possibly, political) spectrum and his desire to challenge them and distance himself from those who come dangerously close to seeking to justify materialism. The core of the book comprises a detailed survey of the relevant biblical material. The survey of the Old Testament is broadly thematic. It contains some useful contributions to well-known debates (e.g. those relating to the charging of interest and debt cancellation) and, more fundamentally, an analysis of the Old Testament’s attitude to the ownership and use of property. Blomberg concludes that “Neither the amassing of riches nor their lack is seen as a necessary good (or evil)” (page 82) and he disagrees with both those who denigrate riches as such and those who (to use Gossai’s phrase) “place the poor on a pedestal and proclaim the advantages of being poor” (page 74). He particularly takes issue with those who assert that “God has a preferential option for the poor” (page 49) but also warns that “one can hardly claim that God’s [Old Testament] people were free to enjoy unbridled prosperity from their material resources” (page 47). Following an interesting, if brief and marginal, examination of the inter-testamental historical background, Blomberg turns to the New Testament and, in particular, considers his subject from the point of view of redemption. He concludes that “A necessary sign of life in the process of being redeemed is that of transformation in the area of stewardship” (page 244). Most of this part of the book comprises a detailed examination of passages in the New Testament relating to wealth and poverty. In essence, it is a biblical commentary with a difference: it is examining passages relating to a particular theme rather than commentating on a particular book of the bible. It is thorough, thought provoking and contains a number of helpful insights (e.g. the suggestion that, in the parable of the rich man and Lazarus, Jesus intended Lazarus to be understood as the prototype of the pious poor in Israel; page 123). Unfortunately, however, it is at this point that the book becomes heavy going. Blomberg wishes to examine every single relevant New Testament passage and the result is a lack of a clear sense of direction in the analysis. Indeed, readers may feel exhausted by the end of it. The desire to conduct an exhaustive analysis is also probably the reason for the author’s final conclusions being squeezed into a dozen pages, which is a pity since the book cries out for a more detailed thematic statement of these conclusions. Space limitations may also account for some of the book’s other deficiencies. Blomberg states that “the appropriate role of Christian involvement in the state or in the international systems of economics” is almost entirely outside the scope of the book (page 247). In reality, the same is true of the role of the state and economic systems in general. However, Blomberg has a tendency to make brief statements relating to these issues that are at best contentious and in some cases naïve (e.g. he appears to assume the effectiveness of foreign aid and, on one occasion, appears to endorse the view that the poor are poor because the rich are rich, although elsewhere he appears to contradict this; pages 158 and 68, respectively). Blomberg also has a tendency to make assertions of fact without producing adequate supporting evidence. For example, it would be good to understand the basis for his conclusion that, at the times when the Old Testament prophets were writing, “Rent capitalism (the paying of rent to one or several owners of various factors of production) had led to upper-class exploitation of the peasants” (page 73) and his assertion that many of the Christians to whom the apostle James was writing were “day labourers on the large farms owned by rich absentee landlords” (page 152). Some of his biblical interpretations are also surprising. The most extraordinary is his attempt to draw a point relating to social justice from Romans 3:22 (page 199). Other examples include his suggestion that the parable of the sower would have reminded a Palestinian farmer “of how much of his produce was ‘unfruitful’, going off to pay rent, tax and the like” (page 114/5) and his tentative endorsement of the suggestion that Jesus’s comments about the widow’s mites “at a secondary level may reflect an ironic lament about a system that allowed the woman potentially to divest herself of any further resources” (page 144/5). The best that can be said about such views is that they are speculative. These deficiencies are frustrating since this is an important book. It contains a challenge to all Christians. Those who may be attracted to “liberation theology” or Ronald Sider’s approach should consider whether they have truly absorbed the biblical material or merely over reacted to Christian complacency; those who reject “liberation theology” and Sider’s approach and have a more positive assessment of property and wealth should consider whether they have in practice forgotten biblical teaching about the obligation to help the poor, the purpose of wealth and the obligations it brings with it. Blomberg is keen to avoid false senses of guilt but it is doubtful that anyone who reads this book carefully will end up comfortable and that is probably for the good. In short, although it is hard unconditionally to recommend this book, it is so important that Christians should read it. 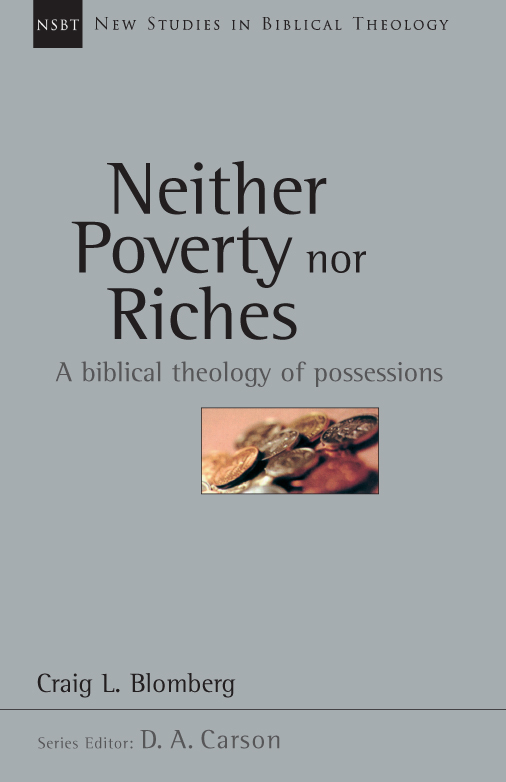 “Neither Poverty nor Riches” was published in 1999 by InterVarsity Press (ISBN-978-0-85111-516-0); 253 pages (excluding bibliography).